Keep an eye out for our newest staff member, Chris Qualls! Chris is joining NeighborWorks Waco as our new Homeownership Center Manager, and plans to focus on building relationships and branding NeighborWorks Waco’s message and goals in the community, all while making sure operations in house are able to run smoothly! Chris, a Louisiana native, settled in Waco after completing his Masters in Social Work at Baylor University’s Diana R. Garland School of Social Work, where he focused on community social work. Chris comes highly qualified for this position, and with his eyes opened to just how impactful NeighborWorks Waco’s work can be in changing the trajectory of a family’s path. Since 2009, he has worked in populations experiencing marginalization, and has been able to see first hand how ownership can affect ones future. In addition to Chris’ Masters in Social Work, he has a Bachelor’s of Art in Sociology from Louisiana Tech University, as well as credentials in Marketing Management from the University of Southern California’s Marshall Business School, and in Organizational Leadership from the University of Johannesburg. When not at work, Chris likes to spend his time outdoors- you can find him running, hiking, biking, and kayaking around Waco! In addition, he loves to cook, and travel with his wife. He and his wife met in 2013 while training for a long-term international mission appointment, and were married in October 2017! 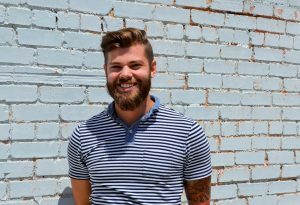 We at NeighborWorks Waco are so excited to have Chris join the team as we work to build stronger neighborhoods through homeownership, quality rental housing, and community- building initiatives!